The most affordable and flexible spraybooth product line is the TRUFLOW DB Series of spray booth products. 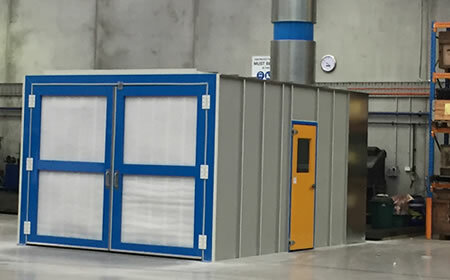 These Open Face Paint Booths are suitable for a wide variety of applications, they offer a bright, safe and clean environment for your finishing operations. Fully compliant to 4114.1:2003 Standards and fitted with concertina type exhaust filters for excellent overspray capture. The spray booth is manufactured from heavy-duty 1.00mm Galvinised steel panels with sturdy nut-and-bolt construction, providing you with a solid, efficient booth at an excellent value that can be quickly self-assembled in your workshop. 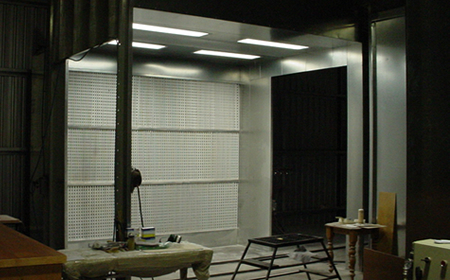 Open Face Paint Booths have a short lead time to get you up-and-running quickly. If you need a customized booth, TRUFLOW can build them in virtually any size or configuration to meet your specific requirements. 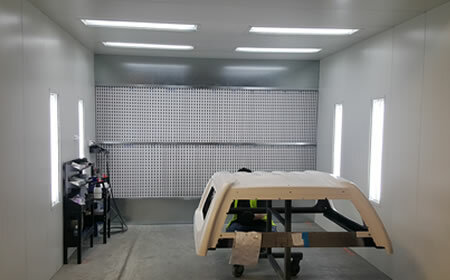 TRUFLOW’s Open Face booths are like the Australian version of an “IKEA Flat Pack” for the spray booth industry. The service is quick and reliable and we can transport AustraliaWide and now also to Papua New Guinea, New Zealand, Singapore, and Indonesia. 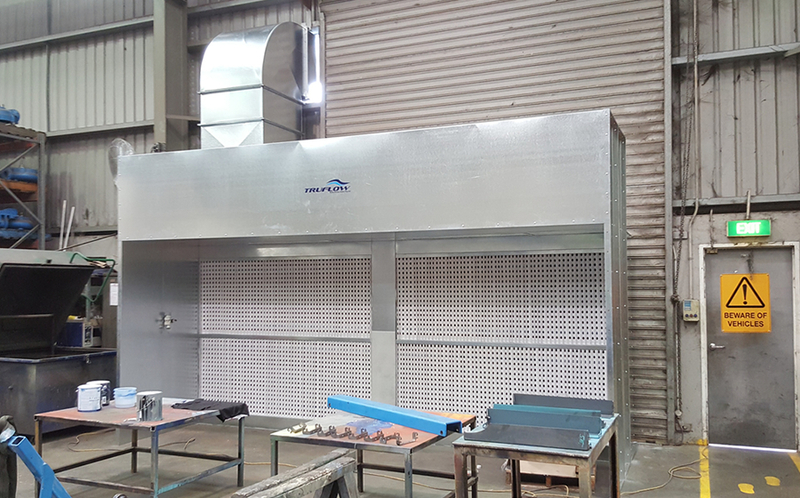 There is a large range of standard sizes available and deciding on the right size spray booth can be made easy by following a few simple guidelines. • Depth: Depth of the largest item + add 1000 mm to ensure filter clearance. Once you have determined a the ideal booth size you can add a cabin & lights to suit. 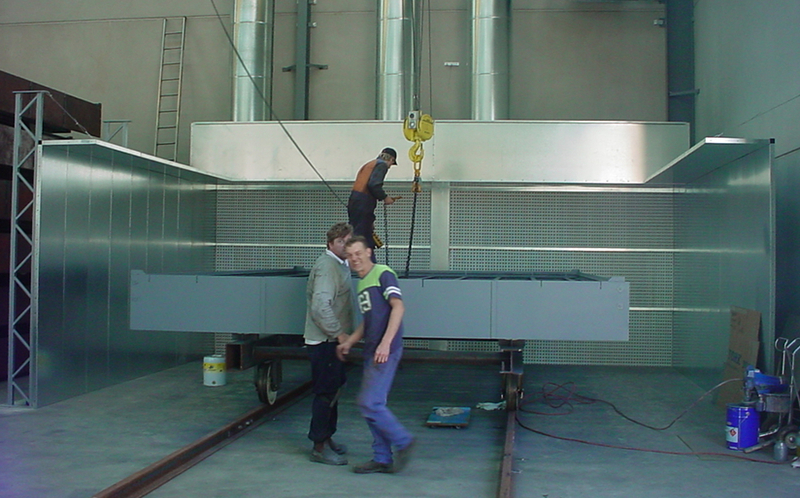 TRUFLOW Open Face Booths are constructed from 1.00mm single-skin galvanized steel. Holes are pre-punched so panels can be assembled by nut-and bolt. Complete assembly drawings are provided, this ensures a quick and easy installation of the spray booth by any semi-skilled labourer. 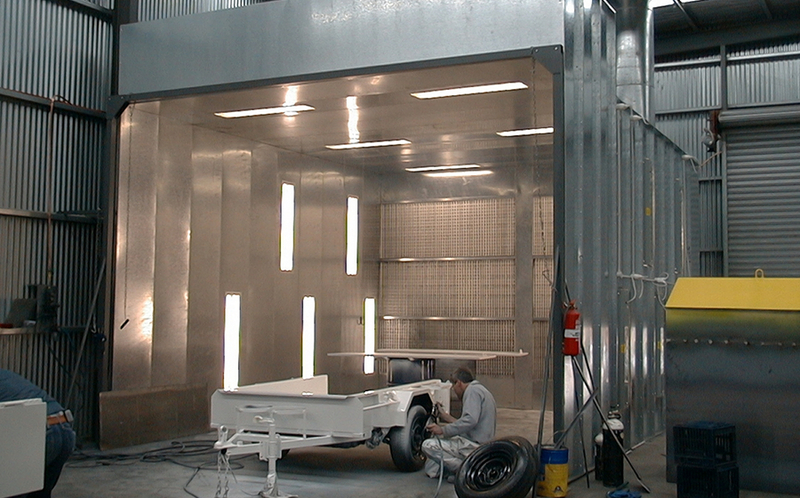 Booths are constructed from 1.00mm single-skin galvanized steel. Holes are pre-punched so panels can be assembled by nut-and bolt. 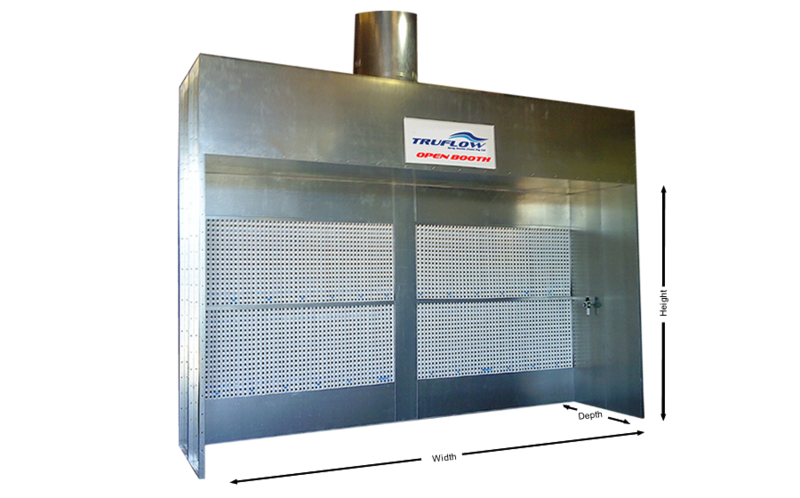 Complete assembly drawings are provided, this ensures a quick and easy installation of the spray booth by any semi-skilled labourer. With endless design combinations the dry filter series is versatile and provides a modular solution to any spraying problem. Cost effective and reliable, manufactured in Australia to your specific needs. See more on crane entry spraybooths. Ductwork can be adjusted to suit your workspace. If you cannot go strait through roof line, TRUFLOW has bends, offsets and transitions which can be adapted for exiting your factory. Exhaust Walls can be fitted with cabins and lighting with roof panels. Conveyor entry silhouettes can also be designed to accept product entry through the side of the spraybooth.